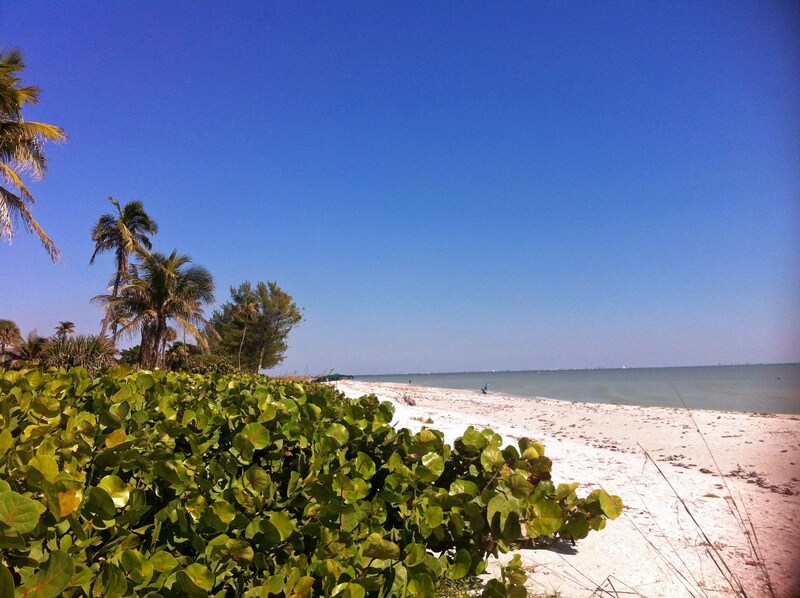 Well, this week has been a cold week on Sanibel. We won’t complain though, as we are thinking of everyone elsewhere in the US dealing with far greater cold temps. Stay warm & safe everyone. Here is an article posted on FloridaRealtors® website: Some Florida homeowners are discovering their insurance companies are employing an interesting strategy to avoid future claims costs. Settlement checks sent by at least three companies include language stating that accepting the check releases the companies from further obligations connected to the claim. Plaintiffs’ attorneys say they have major problems with this strategy: It tries to intimidate policyholders into not seeking payment for additional costs that come up during repairs and is likely unenforceable. But that’s not what notices from two of Florida’s largest insurers say. On the back side of checks sent to homeowners, Fort Lauderdale-based Universal Property & Casualty includes the statement that an endorsement by the payee “constitutes receipt and release in full settlement for the claim or item mentioned in the draft.” Universal P&C is the state’s largest property insurer, with 612,227 policies statewide and 237,172 in the tri-county region as of Sept. 30, according to state records. And a third company, Sarasota-based Gulfstream Property and Casualty Insurance Co., enclosed with checks to at least two victims of Hurricane Irma a “release of property damage” that “does hereby … release, acquit and forever discharge” the company and its officials “from any and all claims, actions, causes of actions, demands, rights, damages, costs, loss of service, expenses and compensation whatsoever” stemming from the hurricane. By contrast, state-run Citizens Property Insurance Corp. acknowledged in December that rising labor and materials costs triggered by Hurricane Irma would likely result in higher repair costs than initially estimated. “As they go through the claims and repairs process, things will come up that may require us to readdress [and reopen] the claim,” Citizens spokesman Michael Peltier said Wednesday. The Sun Sentinel contacted Universal P&C, People’s Trust and Gulfstream and asked each why they assert that acceptance of a settlement check releases them from supplemental claims. The state law requiring insurers to pay any remaining amounts for additional work does not apply to People’s Trust, which operates a unique business model known as “managed repair,” countered Amy Rosen, the company’s chief marketing officer. Perry Cone, Gulfstream’s general counsel, declined to respond to questions about why it directs its policyholders to sign the release forms. “Gulfstream absolutely follows Florida law in its claims handling processes,” Cone wrote. Trial attorney Ligman, representing a policyholder who has declined to endorse a check from Universal, has filed a petition asking a Miami-Dade County circuit court judge to determine whether endorsement of the company’s check would bar him from making future claims. “Universal refuses to change their check policy and continues to send the check release endorsement in violation of Florida law in order to trick their insureds to believe that they are releasing all future claims,” the petition states. 1 new listing: Sandy Bend #4 2/2 $779K. 6 price changes: Tennisplace #D21 1/1 now $244.8K, Captains Walk #B2 1/1 now $249K (our listing), Lighthouse Point #220 2/2 now $450K, Pine Cove #102 3/2 now $1.25M, Gulfside Place #123 2/2 now $1.273M, Plantation Village #312 3/2.5 now $1.749M. 1 new sale: By-The-Sea #9 3/2 listed at $1.749M. 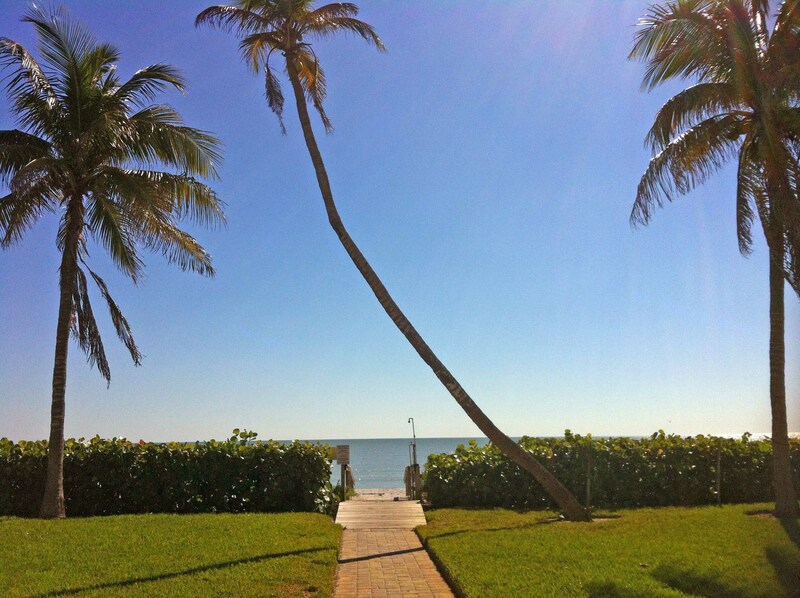 2 closed sales: Sanibel Arms #F2 1/1 $470K, Nutmeg Village #205 2/2 $745K. 8 new listings: 9477 Peaceful Dr 3/2 $537K; 887 Casa Ybel Rd 5/3 duplex $575K; 1513 Sand Castle Rd 2/2.5 $689,000; 3010 West Gulf Dr 3/2 $799K; 529 Lake Murex Cir 3/2 $799,997; 9028 Mockingbird Dr 4/3 $889K; 4960 Joewood Dr 3/3 $1.049M; 940 Spoonbill Ct 3/2.5 $1.195M. 6 price changes: 9292 Kincaid Ct 3/2 now $489K, 4542 Bowen Bayou Rd 3/2 now $548K, 1327 Tahiti Dr 2/2 now $630K, 6123 Starling Way 3/2.5 now $1.225M, 1995 My Tern Ct 4/2 now $1.389M; 2029 Periwinkle Way 4/3 now $1.899M. 12 new sales: 1613 Sand Castle Rd 3/2.5 listed at $499K, 9446 Yucca Ct 3/2 listed at $545K, 2521 Key Lime Pl 3/2 listed at $599K, 241 Violet Dr 3/2.5 listed at $750K, 335 East Gulf Dr 3/2 listed at $1.095M, 1307 Par View Dr 3/3 listed at $1.1M, 1277 Par View Dr 4/3.5 listed at $1.15M, 1106 Buttonwood Ln 3/2 listed at $1.2M, 1313 Eagle Run Dr 3/3 listed at $1.35M, 1052 Whisperwood Ln 3/3 listed at $1.499M, 3945 West Gulf Dr 3/3 listed at $3.195M, 4115 West Gulf Dr 4/5 listed at $5.485M. 4 closed sales: 725 Nerita St 2/1 $385K, 5292 Umbrella Pool Rd 3/2 $540K, 3273 Twin Lakes Ln 3/2 $820K, 4155 West Gulf Dr 4/3 $4M. 1 new sale: 667 Birdie View Pt listed at $345K. 1 new listing: Tennis Villas #3216 1/1 $330K. 1 price change: Marina Villas #610 2/2 now $725K. 1 new sale: Beach Villas #2514 2/2 listed at $609K. 2 new listings: 20 Urchin Ct 2/2.5 $989K, 16801 Captiva Dr 3/3.5 $2.695M. 2 price changes: 1114 Schefflera Ct 4/3.5 now $2.899M, 15133 Captiva Dr 3/3 now $3.2M. 1 new sale: 1121 Schefflera Ct 4/4.5 listed at $5.6M. 2 closed sales: 11461 Old Lodge Ln 2/2 $995K, 11500 Gore Ln 3/2 $1.15M. We had a flurry of activity at SanibelSusan Realty this week. There was no Realtor Caravan meeting yesterday, but I (Susan) had two unexpected sales (both my listings – love those) – one by a past client and the other a new customer who called from reading my Friday blog. How about that! Yesterday, we received a terrific new listing in The Dunes. A photo taken from the great room of this house at 1311 Sand Castle Road is shown above. It has peaceful lake views perfect for wildlife watching. With good feedback from other listings that were shown this week too, our fingers are crossed on a couple of those! Maybe “season” is starting early!? That sure would be nice! Special shout-outs to Dan Cronin, Assistant Vice President and Loan Officer, with the Sanibel-Captiva Community Bank and Ron Dehler, Chief Inspector, with Horizon Inspection Service, Inc. for their expert service this week too! Great to refer business to folks who respond, professionally and quickly! The peak day of hurricane season was Tuesday, so hopefully Southwest Florida will wind down through the next two months with less rain and no storms. Though it has been one of the wettest summers in recent history, there has been wonderful weather the last few days. The typical afternoon/evening showers have not made it to the island, though there has been some pretty serious flooding in some areas off-island. It also was reported on the news that the water releases from Lake Okeechobee will be reduced 60% beginning today because the water level in the lake is down to a more reasonable level. There have been a few inquiries about the water, but mostly locals are fielding visitor questions about what is open and what’s not. With schools back in session, September is usually the islands’ quietest month. Ding Darling Drive remains closed until October 1. 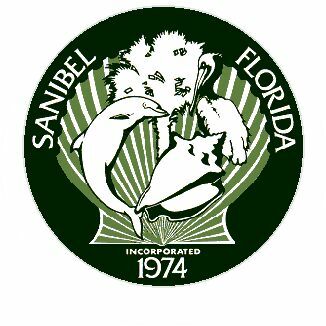 The Sanibel Movie Theater is closed all month and many restaurants and shops continue to close for fix-ups and vacations. Here are a couple of wind insurance news items followed by this week’s action in the Sanibel and Captiva Islands Multiple Listing Service. “Florida customers of the state’s largest property insurance company – including many homeowners who live near the coast – will be paying more in the coming year. State regulators on Monday announced that they had approved an overall statewide rate hike of 6.3% for customers of Citizens Property Insurance Corp. The hike means that the state-created Citizens – which has 1.22 million policyholders – will have raised its rates for four straight years. “The Office of Insurance Regulation’s hike is slightly smaller than what Citizens officials had requested. The increases would take effect in January and February 2014. “But the range of hikes varies depending on where homeowners live and what type of policy they have with the insurer. Many policyholders in South Florida as well as coastal counties such as Sarasota, Escambia and Volusia may see a 10% jump in their insurance bills while the rate change will be lower for those who live further inland. “Citizens would have likely asked for larger increases next year – but state law does not allow Citizens to raise rates on most coverage more than 10% a year. That cap does not apply to sinkhole coverage. “The final order issued by regulators allows sinkhole rates to go up by 20% in Hernando and Pasco counties and 50% in Hillsborough County. “Citizens has the power to place a surcharge, also called a “hurricane tax,” on its own policies and on the policies of most insurance policies if it can’t cover its losses following a major storm. That has prompted a push by Gov. Rick Scott and others to force Citizens to improve its finances. Citizens has billions of dollars in surplus now, but a series of a storms, or back-to-back years with major hurricanes, could wipe out the surplus. “The agency’s action will allow Citizens to continue providing quality service to our 1.2 million policyholders while reducing the risk of assessments on all Floridians,” Gilway said in his statement. Continuing with more news about Citizens, I read this article on FloridaRealtors this morning. It was sourced to “The Miami Herald” yesterday. “When Citizens Property Insurance sends out its monthly customer bills, only 31% of them go to the same house that is insured. The rest go to other mailboxes in Florida – and around the globe, according to data analyzed by the American Consumer Institute of Citizen Research. More than 19,000 bills go to people who live in Canada, nearly 27,000 go to New Yorkers, almost 12,000 go to folks in New Jersey and hundreds more go to England, Germany and France. From Singapore and China, to South Africa and Luxembourg, Florida’s state-run insurance company is providing subsidized insurance coverage to 22,775 property owners who reside abroad. Another 176,465 policies go to homeowners with primary addresses in other states, the study found. “Pociask’s findings have also prompted a coalition of business and environmental groups this week to call for legislation to ban property owners whose primary residence is out of state from qualifying for Citizens insurance, which are offered at below-market rates. “It is bad public policy to continue to allow public subsidies for wealthy, out-of-state homeowners, including coastal homeowners who should be paying a fair price to live in a vulnerable area,” said Manley Fuller, president of the Florida Wildlife Federation and a member the Stronger Safer Florida Coalition, whose goal is to reduce the risk of hurricane losses in the wake of a major storm. “The study, produced independently by Pociask using data supplied by Citizens, does not distinguish between policyholders who own or rent their property to full-time residents in Florida but receive their bills out of state, and those who live in Florida only part of the year. It’s a controversial suggestion in a state where steady improvements in the real estate market are being driven in part by international buyers. “For example, in Sunny Isles Beach, development is under way for eight luxury condominiums, most of which are being marketed to foreign and out-of-state investors. Mayor Norman Edelcup predicts the city’s property tax base will double in the next five years because of it. But, he said, access to property insurance is key. “If Citizens were to deny insurance coverage to non-resident owners – in effect creating second class citizens – I would be totally against it,” he said. If those property owners are denied Citizens coverage, and can’t obtain insurance from an alternative carrier, “that would immediately cut those buyers out of the market and that would have a dramatic effect on us,” he said. “Efforts to shrink Citizens and reduce the potential size of those assessments was the focus of a major property reform bill passed last session. Under the plan, Citizens established a clearinghouse to encourage private insurers to take over Citizens plans, limited the maximum Citizens policy from $2 million to $1 million and eliminated subsidizes for new construction in environmentally-sensitive coastal areas. “But Pociask, who said his organization receives no funding from Florida entities, warns that because of the large number of out-of-state policyholders, the reforms may not do enough to ease the financial burden on Florida residents if a massive storm were to hit. “The whole idea of having that investment from other countries is really good for the state, but, the question is, should somebody else be on the hook for paying for their insurance?” he asked. 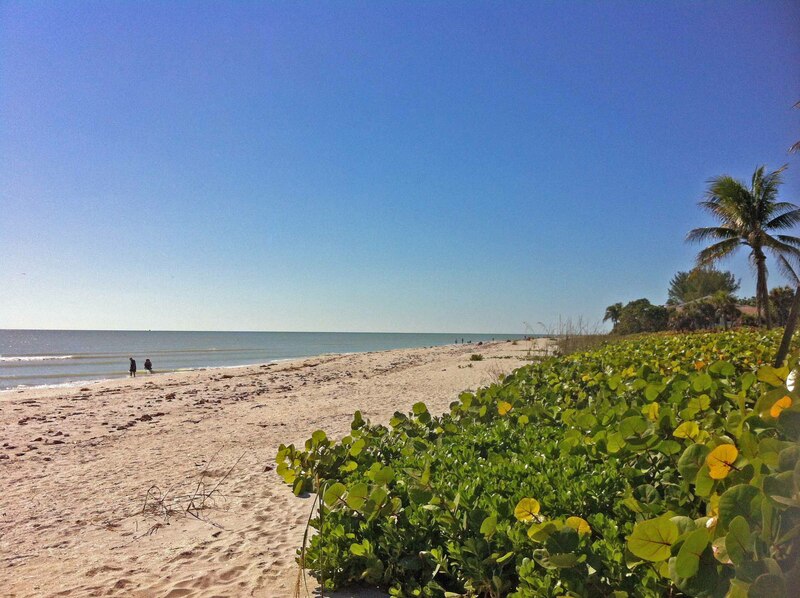 3 new listings: Beach Road Villa #103 2/2 $349.5K, Sanibel Moorings #1622 2/2 $439K, Sanibel Arms West #M4 2/2 $450K. 2 price changes: Blind Pass #E206 2/2.5 now $479K, Pointe Santo #B25 2/2 now $749K. 4 new sales: Duggers Tropical Cottages #2 1/1 listed for $249K, Mariner Pointe #1042 2/2 listed for $424K (our listing & sale) (picture of that view above), Sanibel Arms #D1 2/2 listed for $450K, Sunset South #3B 2/2 listed for $595K. 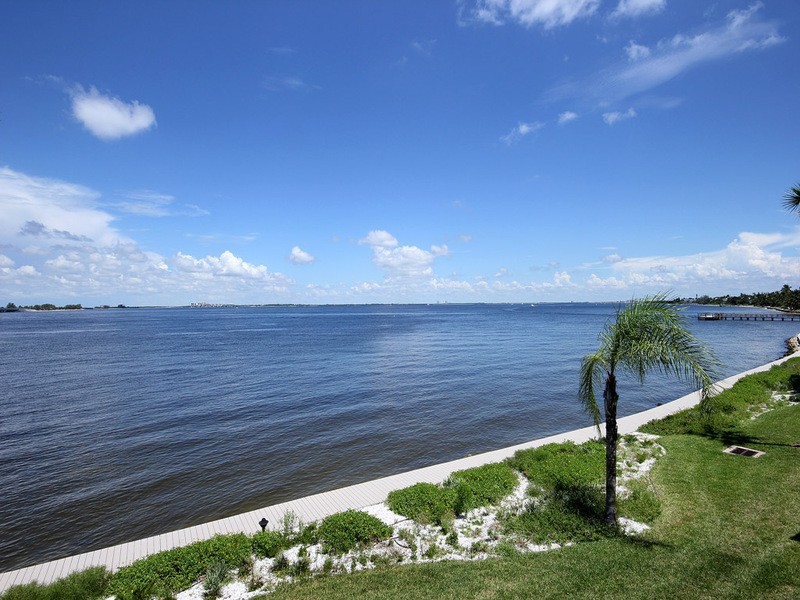 1 closed sale: Sanibel Siesta #210 2/2 $414.5K. 4 new listings: 1039 Beach Rd 2/2 $340.5K; 579 Rabbit Rd 3/3.5 $579,555; 1311 Sand Castle Rd 3/2 $749.9K (our listing); 600 N Yachtsman Dr 3/2.5 $1.195M. 2 price changes: 1809 Bowmans Beach Rd 3/2 now $499K, 1342 Junonia St 3/3 now $629K. 4 new sales: 659 Donax St 2/2 listed for $449K (our listing & sale), 470 Lake Murex Cir 3/2 listed for $495K, 4585 Bowen Bayou Rd 4/4 listed for $645K, 200 Robinwood Cir 3/3.5 listed for $1.268M. 3 closed sales: 1520 Centre St 2/2 $319K, 1941 Roseate Ln 3/2 $420K, 1066 Bailey Rd 3/3 $721K (short sale). 1 price change: 4954 Joewood Dr now $399K. 1 new sale: 5439 Osprey Ct listed for $379K. 1 closed sale: Bayside Villas #5134 1/2 $257K. 1 new listing: 16249 Captiva Dr 3/3 $2.995M. 1 price change: 11525 Chapin Ln 4/4 now $1.449M. The SanibelSusan Team hopes that you all had a Merry Christmas and look forward to a Happy New Year. Over the last week on the islands we have had a little up-and-down weather, a few chilly evenings but mostly beautiful bright sunny days with lots of bikers, beach-goers, and families enjoying nature and the holidays. Here are a couple of news events, followed by the week’s Multiple Listing Service activity on Sanibel and Captiva. Yesterday, at the December Sanibel & Captiva Islands Association of Realtors® breakfast meeting, Sanibel City Manager Judie Zimomra, Planning Director Jim Jordan, and Police Chief Bill Tomlinson updated us on recent happenings at City Hall and around the island. Manager Zimomra spent the day before snow-bound at the Cleveland airport, so we were happy that she made it back home safely. As part of continued cooperative efforts between our local organization and City leadership, Manager Zimomra and Director Jordan encouraged Realtor® input in the ongoing Planning Department review of the updating and redevelopment process for island commercial properties. Manager Zimomra and Chief Tomlison likewise asked for our help in spreading the word on island safety, mainly to encourage visitors and vacationers to lock their accommodations, particularly sliders, when they are away. Open doors particularly with purses and wallets in sight are invitations for trouble, even on this quiet island. This week, Florida Realtors® posted on-line a summary slide show of how the real estate industry here changed in 2012. Here is a list of the top industry stories, a recap of the most significant news stories that impacted Florida real estate brokers and agents. “Real Estate Rebound – In a year-over-year comparison, single-family sales grew 25.3% and prices increased 9%, according to Florida Realtors® economists. The big Realtor® complaint now is low inventory and continued banking and lending hassels. Schwab says real estate will be the key driver of a 2013 rebound. “There’s No Place Like Home. Got One? The big Realtor® complaint now? Low inventory. Sensing a rebound, buyers jumped into the market only to face competition from investors. At the same time, many owners put off a sale, waiting for even higher prices. New construction – almost nonexistent since the recession – kicked into gear. “For Lease, Navidad – Real estate investors tried a new tactic. Instead of buying buildings, they bought single-family homes one by one and, on paper, turned a multi-location group of homes into a single investment. They signed up renters, paid a property manager and turned an almost immediate profit. “How Low Will They Go? Mortgage interest rates hit record lows in 2012, bottoming out at 3.31% for a 30-year fixed rate – and still hovering at that range at year’s end. Some buyers with dynamic credit scores found great deals. Others couldn’t score a great home due to tight lending and competition from cash-laded investors. “Let’s Get Fiscal – A threat overshadowed the 2nd half of 2012 – a presidential election followed by possible economic pandemonium if Congress failed to stop a fiscal cliff on Dec 31. Fear of the unknown caused businesses to postpone investments, homeowners to avoid buying, and a nationwide wait-and-see attitude. “I’ll Make This Short – Buyers loved bank-owned properties (REO’s) just a year ago, but in 2012, banks cut back on REO’s and started to favor short sales that net them more money. In Realty Trac’s latest quarterly report, a full 65% of homes in some stage of the foreclosure process sold through a short sale instead. “Don’t Deduct the Deduction – The U.S. supports homeownership through a mortgage interest tax deduction (MID). But some now question the fed’s role and say renting isn’t such a bad option. As part of a deal to cut the deficit, will lawmakers nix the MID altogether? Cap the amount? Either option could trim buyer demand in 2013. “A Billion Here, A Billion There – Five large U.S. banks accused of unfair foreclosure tactics settled a court case to the tune of $26 billion. The money helped some underwater homeowners lower monthly payments, and it reimbursed some ex-owners who went through foreclosure. The banks say they’ve changed those practices. “Three Out of Four Ain’t Bad – Florida voters passed three property tax amendments in November, easing the burden for spouses of veterans and first-responders, out-of-state veterans and, with local approval, low-income adults 65 or older. Unfortunately, the Florida Realtors®-backed Amendment 4 failed to get the 60% approval need for passage. “Help for Howeowners Literally Underwater – Congress finally passed a long-term fund flood insurance law extending the program to 2017, following a lengthy, years-long series of short-term extensions. The national flood program faces financial challenges however, and it now has stricter requirements for coverage. “Less is More – In an effort to become financially sound, Florida’s Citizens Property Insurance Corp. reduced coverage and increased premiums. Still, these policies are less expensive than the private market. In 2013, Citizens will struggle to again become the state’s insurer of last resort. “Global Shift – International buyers love Florida’s sunshine, lifestyle and want a piece of the action. However, some global economies have been hit harder than others. In 2012, buyers from Brazil, Venezuela and Canada ramped up purchases. But European buyers, hit harder by a downturn, cut back on buying Florida homes. What to Eat – Southerners eat black-eyed peas on New Year’s Day for good luck. In Germany, marzipan pigs are traditional Christmas and New Year’s gifts that symbolize success. What to Do – Put a silver coin in your pocket before midnight on New Year’s eve to increase your chances of prosperity. An Irish tradition is to bang on doors and walls with a Christmas bread to chase away bad luck and invite good spirits. Bread is used to ensure plentiful food comes to the household. The Chinese use firecrackers to welcome the New Year and chase away evil spirits. In Iran, they bang pots and pans. Your First Visitor – 1st-footing is an ancient European New Year’s custom that continues into the present in many areas. The first person to enter a home after midnight on the 1st day of the year should be a male, preferably with dark hair. Blondes may have been associated with Vikings – visitors who never brought good luck. The 1st-footer should carry a gift, such as a coin for prosperity, bread for food, salt for flavor, or whiskey to represent good cheer. The 1st-footer can be a resident of the house, but must not be inside during the hour leading up to midnight. No fair stepping outside and coming back in again! What to Sing – Nearly every English-speaking New Year’s Eve celebration includes singing “Auld Lang Syne” which literally means “the good old days”. To Kiss or to Toast? – Kiss those dearest to you at midnight not only to share the celebration, but to ensure that those ties continue through the next 12 months. A champagne toast at midnight is the most honored New Year’s tradition. It can be traced back to the ancient Greeks and Romans. New Year’s Resolutions – This tradition dates back to the early Babylonians where their most popular resolution was to return borrowed farm equipment. This year, we hope many resolve to buy an island property in 2013. The Modulators at The Crow’s Nest at ‘Tween Waters Inn on New Year’s Eve. 13th Annual Polar Bear Plunge – at noon on New Year’s Day at Tarpon Bay Beach. Free and fun. Go to watch or wear your bathing suit and make history. “Home owners desire bigger spaces again, following five years of downsizing trends. Average sizes of newly built homes increased 3.7% last year over 2010, according to U.S. Census Bureau data. That marked the first increase since 2007. And builders are reporting higher demand for larger homes this year. “The need for more space may be coming from the growing number of people living under one roof, as multi-generations move in together. “A recent survey by the American Institute of Architects shows a higher demand for multi-generational housing. The survey also showed more home owners upsizing their current homes. Fifty-eight percent of architects reported higher interest in additions and remodels, which is up from 35% one year ago. Kitchen and baths topped the list. 2 new listings: Sundial #H110 1/1 $215K, Captains Walk #E5 2/2 $224.5K. 2 price changes: Blind Pass #D205 2/2 now $300K, Pointe Santo #C4 now $479.9K. 5 new sales: Colonnades #9 1/1 listed for $129K, Tennisplace #A34 2/1 listed for $239.9K, Sanibel Moorings #341 2/2 listed for $420K, Lighthouse Point #318 3/2 listed for $449K, Wedgewood #303 3/3.5 listed for $1.198M. 1 closed sale: Duggers Tropical Cottages #6 1/1 $235K. 4 new listings: 3316 Saint Kilda Rd 2/1 $449K, 1053 Seahawk Ln 2/2 $689K, 1694 Dixie Beach Blvd 3/2 $1.195M, 1175 Bird Ln 4/3.5 $2.995M. 6 price changes: 4629 Brainard Bayou Rd 3/2 now $499K, 9203 Dimmick Dr 4/2 now $649K, 1350 Middle Gulf Dr #1E (Moonshadows) 3/3 half-duplex now $669K, 2540 Coconut Dr 4/3.5 now $740K, 4496 Waters Edge Ln 3/2 now $825K, 2984 Wulfert Rd 4/3 now $2.4M. 2 new sales: 6457 Pine Ave 3/2 listed for $429K, 1693 Bunting Ln 3/2 listed for $745K. 3 closed sales: 199 Daniel Dr 3/2 $337.5K., 1001 Lindgren Blvd 2/2 $600K, 3239 Twin Lakes Ln 3/2 $745K. 1 price change: 1847 Farm Trl now $224K (our listing). 1 new sale: 6006 White Heron Ln listed for $749K. 2 closed sales: 9042 Mockingbird Dr $289,375; 1035 Bayview Dr $3.55M. 1 new listing: Sunset Beach Villas #2222 1/1 $529K. 2 new listings: 15160 Captiva Dr 6/6.5 $2.299M, 15017 Binder Dr 3/4.5 $3.75M. It was another fairly quiet week on Sanibel Island, but we got a sampling of fall/winter weather yesterday when the high was just 70 degrees. Then last night, it went down into the high 40’s. Today, it is clear and crisp. You can almost feel it through these photos that I took this afternoon from Island Beach Club on West Gulf Drive. Son and Office Manager, Dave golfed with a pal at Shell Point last Sunday and got his first “hole in one“. We have been giving him the business about it all week. On the island, rumor also has it that Beachview Golf Course will soon be opening under new ownership. 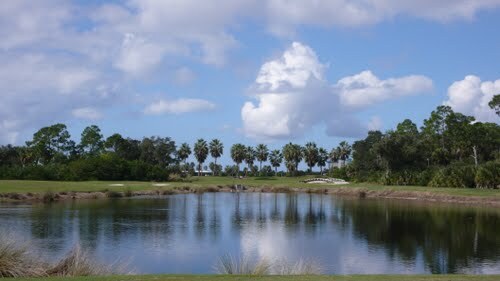 If you like to stay up on what is going on at the Sanibel golf clubs, below are links and info. Our December 13, Realtor® Caravan meeting will be at The Sanctuary, so I will have a winter update on what is happening out there then. The island got national exposure – as did much of Florida – after the Tuesday election. Though Dave and Lisa voted quickly at their poll just off island, Elise had a longer wait in South Ft Myers. 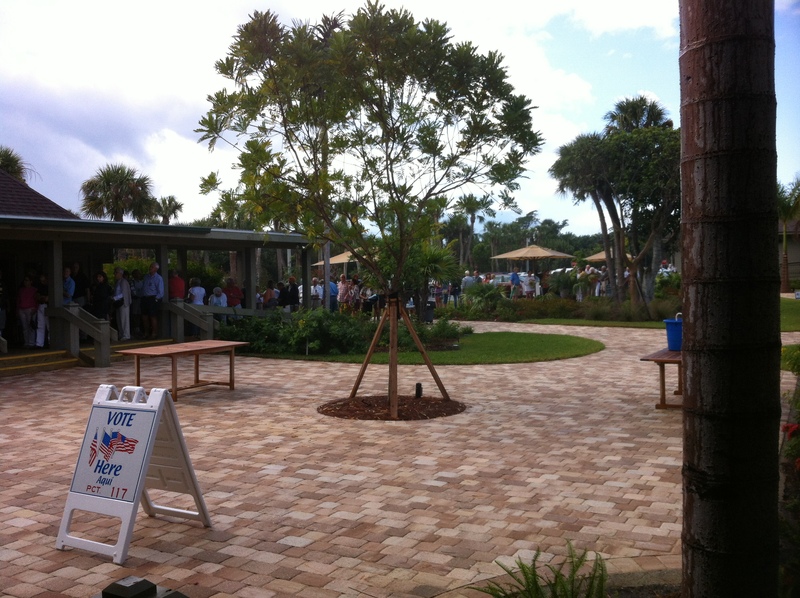 I vote at the Sanibel Community Church which usually is very efficient, but not so this time. The 4-page ballot and only one scanner made for a long line. In the morning, it took me 3-1/2 hours which thankfully was overcast much of the time, with only a couple of showers. The afternoon voters were not as lucky and were standing out in the hot sun for 4 to 6 hours. It was nearly midnight before many got through the line. Some, however, became discouraged and either left after standing in line too long or just didn’t vote. Several other local precincts had similar waits. Luckily when the Captiva poll closed, a 2nd scanner was moved to Sanibel, or those voters might still be line. Not a good reflection on Lee County. Sanibel weather is expected to be back into the low 80’s by Sunday just in time for the 31st Annual Taste of the Islands which is from 12:30 to 5 p.m. at the Community Park right across the street from SanibelSusan Realty. This year promises to be the best ever with an assortment of great food provided by 20-island restaurants in addition to classic rock music performed live by local bands! (I will have our front door open to enjoy the sounds and hopefully snag a few folks interested in real estate!) Proceeds help CROW’s (Clinic for Rehabilitation of Wildlife) mission to save wildlife. Continuing with food news, there is a new tacos and tapas place on Sanibel that is a blend of Cuban, Spanish and Mexican cuisine. 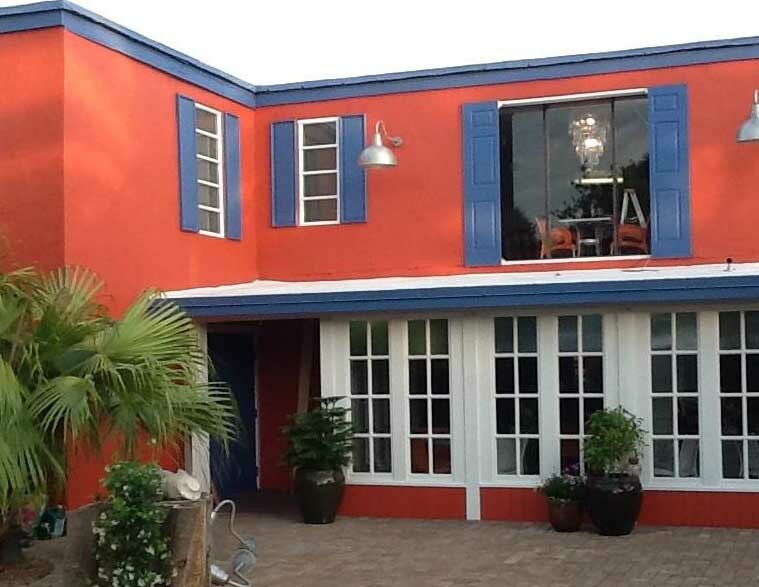 It opened about a week ago at 2411 Periwinkle Way, which was the original home of Cheeburger Cheeburger. According to local reports, the new Latin fusion restaurant has salads and soups, tacos and tapas, Cuban pressed sandwiches and enchiladas all on an a la carte menu with a variety of sides available. The restaurant seats 40 and is open for lunch Tuesday through Sunday from 11:30 a.m. to 2:30 p.m. and from 5 to 9 p.m. for dinner. “Six questions to ask when shopping for homeowner’s insurance – Homeowners should work with experts to determine the type of homeowner’s insurance they need and the amount of coverage. “Besides knowing the basics of what a standard homeowner’s insurance policy covers, consumers should ask a series of questions – and receive satisfactory answers to each of them – before buying a new policy or renewing an existing one,” says Michael Barry, vice president, media relations, Insurance Information Institute (I.I.I.). I.I.I. is a nonprofit, communications organization supported by the insurance industry. “1. How much would it cost to rebuild my home in its current location in the event of a total loss? Ideally, a homeowner’s insurance policy should cover the cost of building a new home from scratch. In general, homeowners’ policies cover partial or total damages caused by fire, hurricane, hail, lightning or any other disaster if it’s listed in the policy. Flood and earthquake-related losses must be insured separately because both perils are excluded in standard homeowners’ insurance policies. “2. How much is my personal property worth in the event of a total loss? A homeowner’s insurance policy should cover the cost of replacing all personal property (furniture, appliances, clothing) should it be stolen or destroyed by fire, hurricane or another insured disaster. Most companies provide personal property coverage equal to about 50 to 70% of the amount of insurance on the home’s structure. (A $100,000 policy for the structure would have perhaps $50,000 to $70,000 worth of personal property coverage.) However, the best way to determine personal property coverage in a specific situation is to conduct a home inventory. I.I.I. provides online software to help homeowners catalog and value possessions (https://www.knowyourstuff.org/iii/login.html) as well as an iPhone app. “3. How much liability protection do I need? Liability covers homeowners against lawsuits for bodily injury or property damage caused to other people, including damage caused by pets. The liability portion of a policy pays legal defense costs and any court awards – but only up to the limit set in the policy. It’s effective not just inside the home but also anywhere in the world. Liability limits generally start at about $100,000, and many insurance agents will recommend at least $300,000. Homeowners with significant assets may want more; others may want less. “4. What level of additional living expense coverage do I need? The Additional Living Expenses (ALE) provision is found in standard homeowners insurance policies. It pays for the costs of living away from home if damage from an insured disaster makes the house uninhabitable. ALE covers hotel bills, meals and other expenses above customary living expenses. ALE coverage differs from company to company. Many policies provide coverage equal to about 20% of dwelling protection. For example, if the structure of your home is insured for $100,000, you would have $20,000 of ALE coverage. Some companies impose a time limitation, such as 12 to 24 months. “5. Should I buy a separate flood and/or earthquake insurance policy? Flood coverage is available from the federal government’s National Flood Insurance Program (NFIP) and from a few private insurers. Earthquake coverage is usually available in the form of a supplemental policy. An article posted on-line Wednesday at http://www.news-press.com discussed an item that becomes even more important when you are trying to sell a property. “In a memo dated Wednesday, City Planner Scott Fulton presented the council with a package of information detailing proposed code changes. The current code allows for the city to address properties that are considered dangerous, but not neglected. For example, one of eight properties listed in the package — 5100 Sea Bell Road — is referred to as “dangerous.” The front staircase “became so dilapidated that it fell down,” according to the memo. The city has claimed it has been a problem for five years and has received a total of 10 complaints because of it. “Another property listed in the memo is 1108 Sandcastle Road, a home for which Diane Chesley has written a letter to the city complaining about its condition. “I don’t want to be a pain, but this is a major investment in my life and I don’t someone else’s neglect to impact me,” Chesley said. “You don’t have to have a fancy home or yard, but you have to have a well-maintained yard. We’re not asking for anything fancy.” Chesley said she’s going to be among those who will be present at today’s meeting speaking in favor of the ordinance. Further, she said the ordinance would allow the city to address properties in a “fair manner to everybody.” “I think for the welfare of the residents of this island, we should all have a vested interest,” she added. 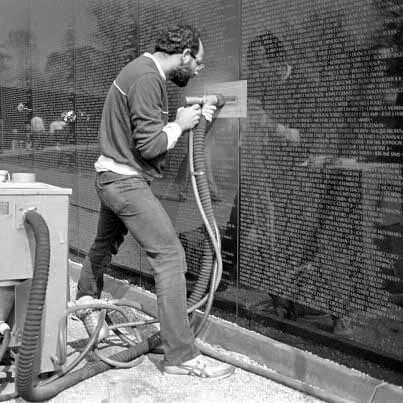 This 23rd annual ceremony also is the 94th anniversary of the end of World War I, the 30th anniversary of the Vietnam Veterans Memorial Wall, and the 65th anniversary of the United States Air Force. Honoring all veterans, Sanibel’s event will be held on Monday, November 12, around the flagpole on the grounds at Sanibel City Hall at 800 Dunlop Road. There will be patriotic music by the Sanibel Community Band and the program includes a short talk by our local friend and artist, Luc Century, about the technique he developed to etch the Wall and his work there. It begins at 10:30 a.m. 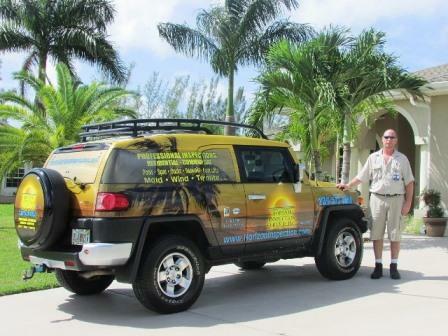 Yesterday, Lisa and Dave held our new listing on Island Inn Road for Realtor Caravan. Below is the activity posted in our Sanibel and Captiva Islands Multiple Listing Service (MLS) over the past week. 2 new listings: Lighthouse Point #125 2/2 $539,935; Seascape of Sanibel #302 3/3.5 $1.349M. 3 price changes: Sanibel Siesta #210 2/2 now $419K, Heron at The Sanctuary #1A 2/2.5 now $489K, Pointe Santo #E32 2/2 now $749K. 2 new sales: Mariner Pointe #1092 2/2 listed for $389K, Sanibel Arms West #M7 2/2 listed for $399.9K (our listing & sale). 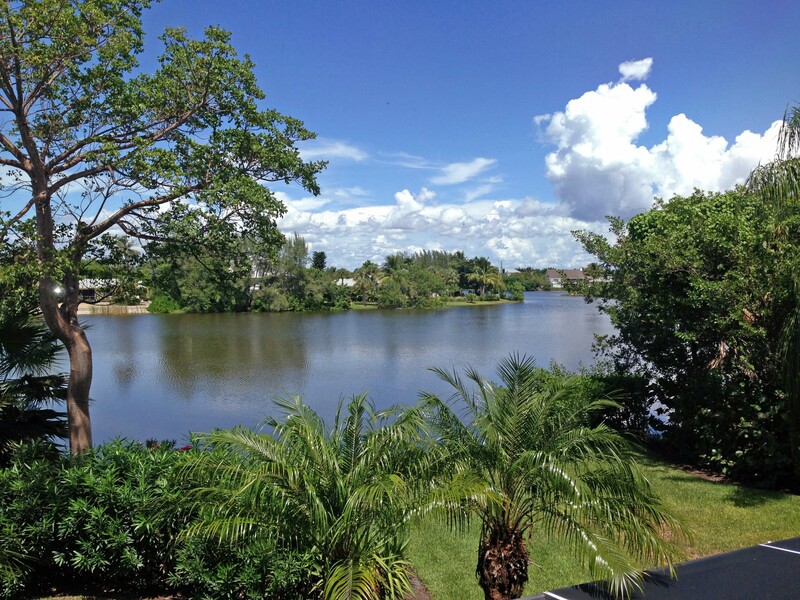 1 closed sale : Sanibel Arms West #K3 2/2 $357.5K (short sale). 9 new listings: 1002 Greenwood Ct N 3/2.5 half-duplex $349K; 1941 Roseate Ln 3/2 $449,944; 3311 Twin Lakes Ln 3/2 $599K; 2630 West Gulf Dr 3/2 $624.9K; 2550 Wulfert Rd 4/3.5 half-duplex $748.5K; 1306 Par View Dr 3/3.5 $799K; 776 Conch Ct 3/2 $845K; 1777 Serenity Ln 5/4.5 $895K; 385 Old Trail Rd 5/2.5 $1.2M. 4 price changes: 1511 Angel Dr 2/2 now $649K, 5406 Osprey Ct 3/2 now $879K, 228 Violet Dr 3/2/2 now $1.349M, 829 Tulip Ln 5/4.5 now $2.445M. 2 new sales: 1610 Sabal Sands Rd 3/2 listed for $479.9K, 3705 West Gulf Dr 5/5/2 listed for $3.995M. 2 closed sales: 3002 Poinciana Cir 3/2 $330K, 1263 Par View Dr 5/2.5 $590K. 1 closed sale: 5044 Joewood Dr $450K. 1 new sale: Marina Villas #603 2/2 listed for $520K. 2 new sales: 15891 Captiva Dr 5/4 listed for $2.795M, 16310 Captiva Dr 4/5.5 listed for $4.5M.